Stalking Eastern Rosellas can be tough. They spook easily and fly just out of reach for a good photograph. Once in a leafy green tree they can be just about invisible even with the bright red head and chest. Locally their numbers have been building. I am hoping the increase is from the breeding locals rather than Rosellas migrating through. A local naturalist has been building nest boxes suitable for Rosellas but unattractive to possums. On this walk along the creek several Rosellas were feeding on the seeds of a Desert Ash. 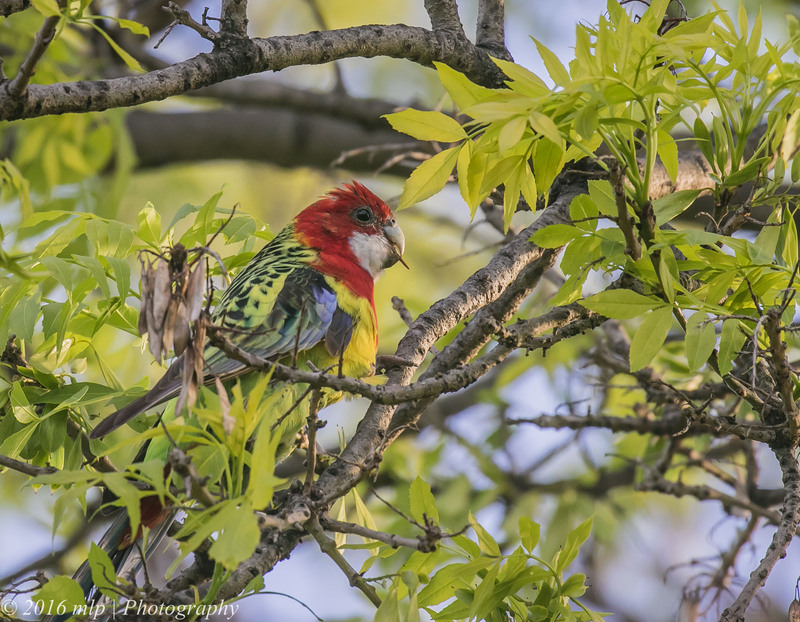 This entry was posted in Birds, Victoria and tagged Australia, Australian Birds, Bird Photography, Eastern Rosella, Elster Creek, Elwood, Nature Photography, Photography, Victoria. Bookmark the permalink.